Nose: Cream, butter, butterscotch, malts, honeycomb candy, toffee, ripe banana. Body: medium thick, bit young, sweet, smooth, but also a bitter. Finish: spices, dry, some sweetness than a grapefruit & spices bitter with salty licorice. Delightful. Nose is the star. The somewhat bitter finish the weaker part. Soapy bitter. Not nice. After a while the taste of apple seeds, which I did not like as a kid. Due to unpleasant taste too long. has a sauté note for me - could be a very dry sherry keg I find him a bit weak and immature for his price - blindly I would classify him in the 30 € class. Although the palate reveals it's youth, this is a solid dram. It's creamy, a little fruity and in the finish also spicy. A nice combination of youth and wood. fresh, juicy and waxy, with a bit of minerality. 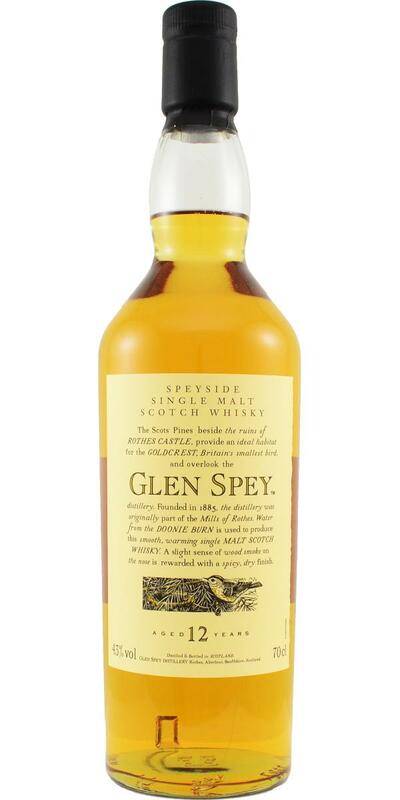 There is plenty of malt in the nose, together with beeswax and a bit of vanilla. There is ample fruit too, with pear, apple and sweet lemon. The nose is complemented by a solid backbone of grass. A bit young still. Malty, a bit on iron, bread, cake dough, pastry, green apples and gooseberries. Behind that, some vanilla and grass. Moderate, malty, creamy and a tad spicy. Ginger bread, danish pastry, peach, vanilla, and cinnamon. Sweet sour, grassy, marzipan. Hay and wood shavings. Feels a bit young on the nose. Sweet, again marzipan. Wood sap. Youngish. Not very active casks. Medium. Again the wood sap. Some raw wood as well. A bit sweet and again a hint of marzipan. Price: Don't pay more then €50,-. Everything else is speculation.